We’ve all been there, planning for our next outdoor adventure. Only this time it is going to be during the winter season. As you begin planning what to bring you realize a few things will be different. You’ll have to dress in more layers, which will add some weight to your pack. You decide to bring your heavier a sleeping bag just in case the temperatures plummet, more weight. You will probably burn more calories in the cold so you need to pack more high-powered protein. Camp stove, tent, sleeping pad, down booties, extra socks, kitchen sink, teddy bear… Wait, what?! You get the picture. 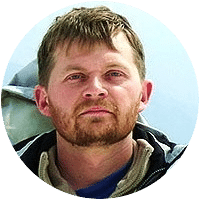 It is our natural instinct to make sure we will be warm and comfortable, but we also need to be sensible and leave things at home that you won’t need so your pack doesn’t weigh 100 pounds before you even get started. 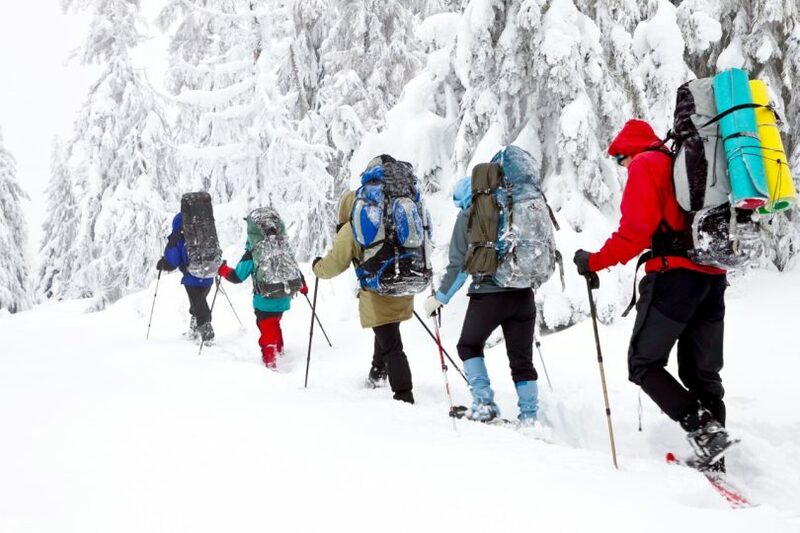 The focus of this article is this: tips for hiking in the winter. We will break it down into five main categories and hopefully, you will be ready to hit the winter trail and chalk up a new experience or improve upon your expertise. If you follow these clothing tips you won’t be as cold as ice. It is obvious your clothing will be different on a winter hike. 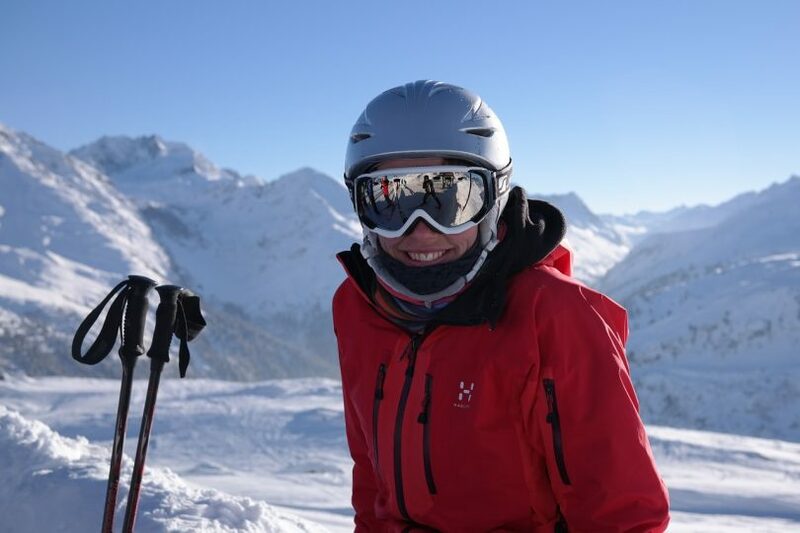 You may have heard of terms such as soft shell, hard shell, base layer – you will need all of these. Wool socks, check. More wool socks, check and double check. Gloves and mittens, yes both. Hat, check. Face mask, check. On all these garments you will want fabrics that wick perspiration away from your body yet protect you from the elements like wind and precipitation. Let’s start at the head and work down to the toes. Everyone knows you lose heat from the top of your head. So, in order to stay warm, get yourself a nice hat. 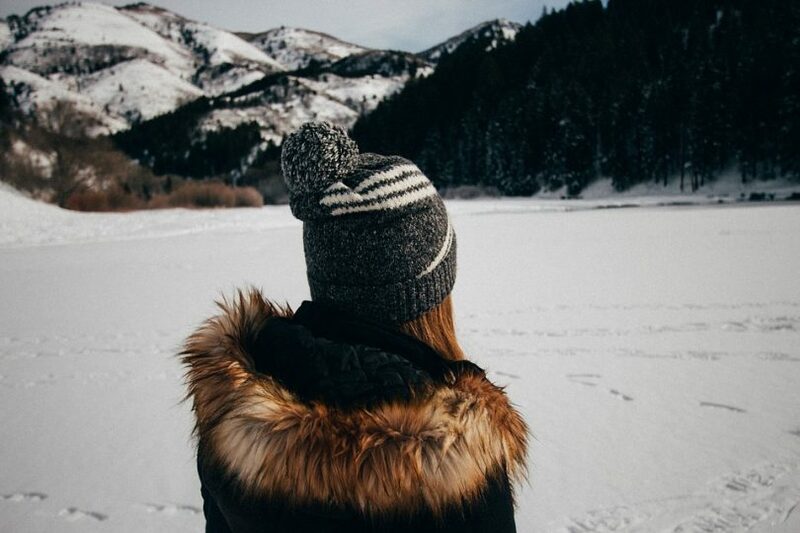 Good hiking hats come in many different styles so you can still look good and stay warm at the same time. Believe it or not, some people bring two hats; a lighter one for times of high exertion and a heavier one for rest times or when the temps really drop. Here again, we like fleece or wool gloves and then a pair of mittens to go over them. The mittens will come in handy at night, the gloves can be used alone when you are actually moving and you are warm. Make sure to use fabrics that breathe and something that will keep your hands dry. Two layers for your hands, insulated and waterproofing, no frostbite on my watch! The easiest way to describe your base layer of clothing is long underwear. But this is not the old cotton weave that folks used to wear. Stay away from cotton, once wet it won’t dry until you get home. And wet equals cold in a winter climate. You want a synthetic or Merino wool; something that wicks moisture away from your body. This layer is what keeps you warm. Sometimes it is referred to as the soft shell layer. This layer can be synthetic fleece or wool sweater; something heavier to keep you warm. Depending on the temperatures of where you are going you may also want a heavier insulated jacket that is made especially for winter treks. The insulation could be down or a high-tech polyester. 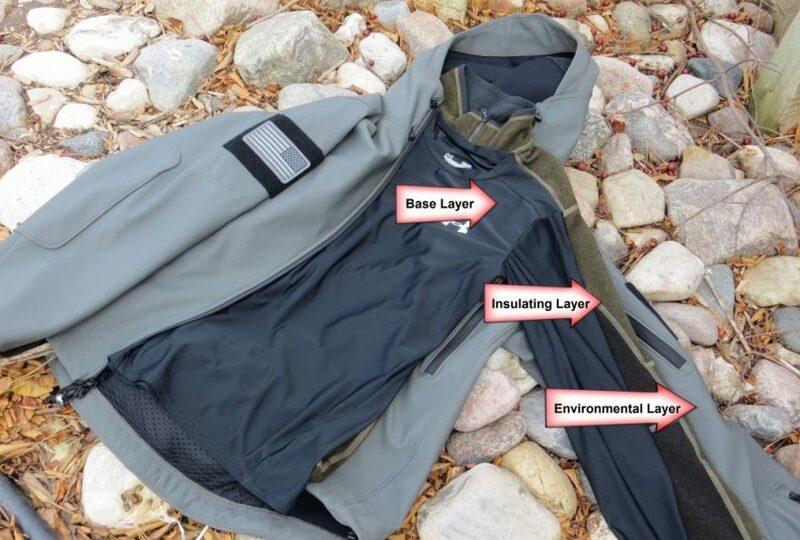 This is the top layer that keeps you dry and resists the wind. It is typically made of a synthetic fabric that has been treated with a Durable Water Repellant (DWR) coating. You don’t want to get your feet wet. You need to wear wool that will keep them warm and dry. Bring along an extra pair or two depending on the length of your trip. 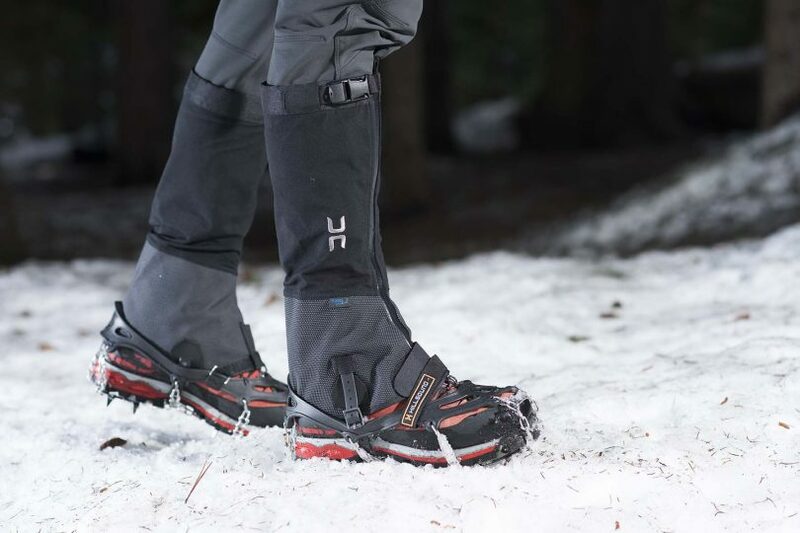 You will want to keep the snow away from your feet as much as possible. The boots need to be waterproof. Wet feet equal frozen feet and frostbite. If you plan to be hiking in deep snow, you should wear gaiters. They are made of a hard shell fabric and will keep your ankles and lower legs dry. They will prevent snow from getting down your boots. The important takeaway: stay dry, stay warm. 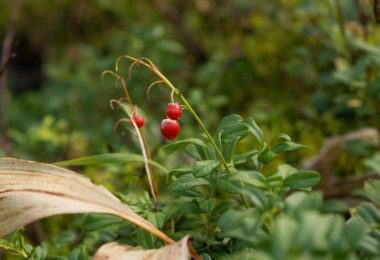 You will need to follow a few special techniques for sleeping in a tent during the winter months. You need good rest so you can continue on your journey the next day. Here are some good tips to help you accomplish just that. 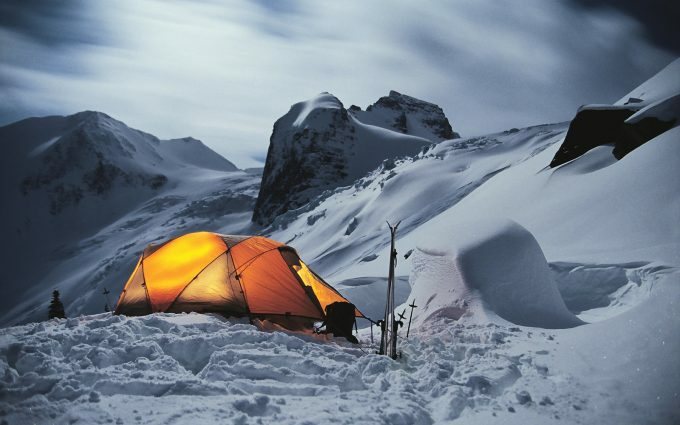 You should bring a winter tent that has stronger poles and supports in the event of a heavy snow and high winds. It also has a solid fabric where the mesh vents are on a summer tent. In addition, the smaller the tent, the better. Small spaces heat up faster. If you can sleep two in the tent that will have twice the body heat to keep you warm. You may want to invest in snow stakes as well if you are likely to be pitching your tent in the snow. Before pitching your tent on snow you will want to stamp out a large level area to pitch your tent. The tamping will hopefully compress the snow so there are no air pockets that will compress while you are sleeping in the night. You don’t want any sinking surprises like that. Do not pitch your tent under trees where branches weighted down with snow could snap and land on your tent possibly injuring you and damaging your gear. Don’t pitch your tent where there is the possibility of an avalanche. A sleeping pad will protect you from the cold ground, plus it will give you a little bit of cushion. Bring the thickest pad you can that is made of closed cell foam. At least 2½ inches is best, even if you have to bring 2 smaller pads to get to a thicker dimension. It will really help you get a good night’s rest. Bring a relatively new sleeping bag that is rated for the temperatures you may be experiencing. Also, know if you like to be extra warm when you sleep or not. If you do get a thicker, warmer rated sleeping bag such as good to -10º Get one with a two-way zipper so if your feet get warm you can open the zipper a bit and vent it for your feet. Plan to wear your light hat to bed, or get a mummy style bag that will cover your head. Sleep in your base layer sometimes less is more. The important takeaway: stay dry, stay warm and rest well. 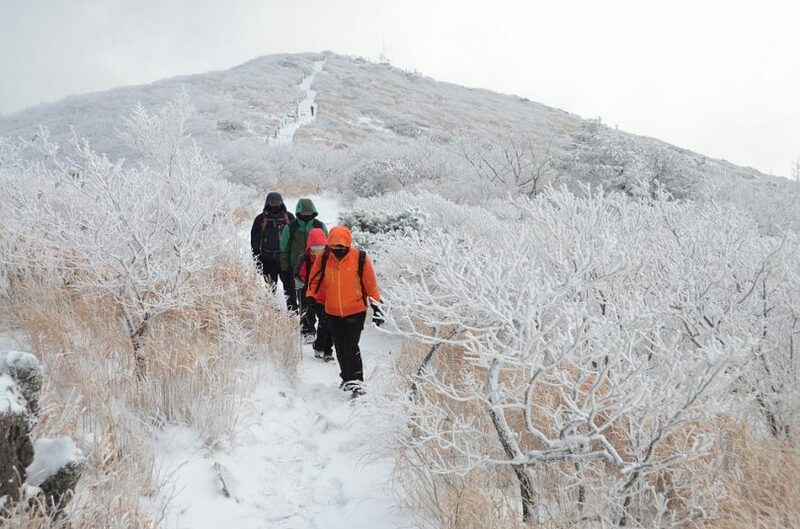 You will exert a lot of energy when hiking in the cold. Depending upon your terrain, you could exert more than you realize. It is important to eat a good balance of carbs and proteins and take in as much as three times the amount you would normally eat. Don’t pack foods that take a long time to heat or need a lot of water to rehydrate. 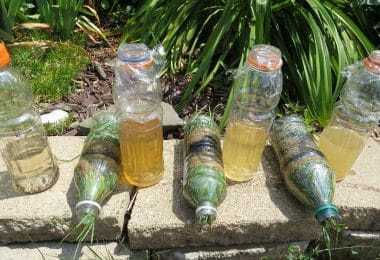 Time and water may be in short supply. Drink plenty of liquids for breakfast. You can melt snow and make coffee or hot chocolate. Then you will melt snow to fill your water bottles for the day. 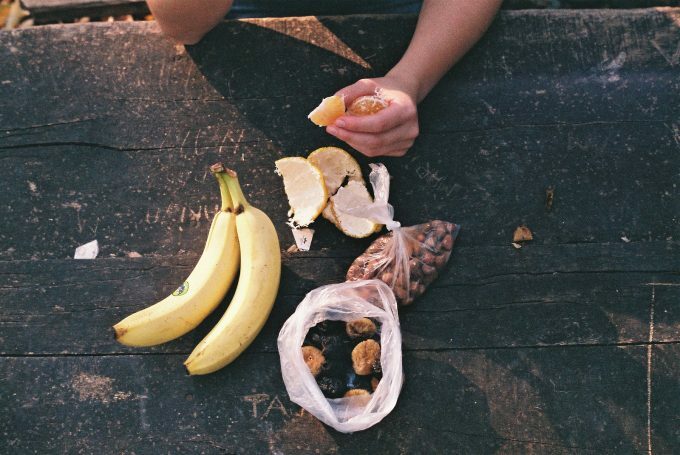 Bring plenty of snacks already in small baggies so you can eat lunch on the run or actually snack throughout the day. Things such as gorp, nuts, small bites of cheese and hard salami, bites of chocolate. You will want high-calorie items so you get a lot of calories without so much volume of food. For those who watch “The Big Bang Theory” you will know that Sheldon says there are certain times to share a warm beverage. Winter hiking and camping is one of them. It will help warm you. 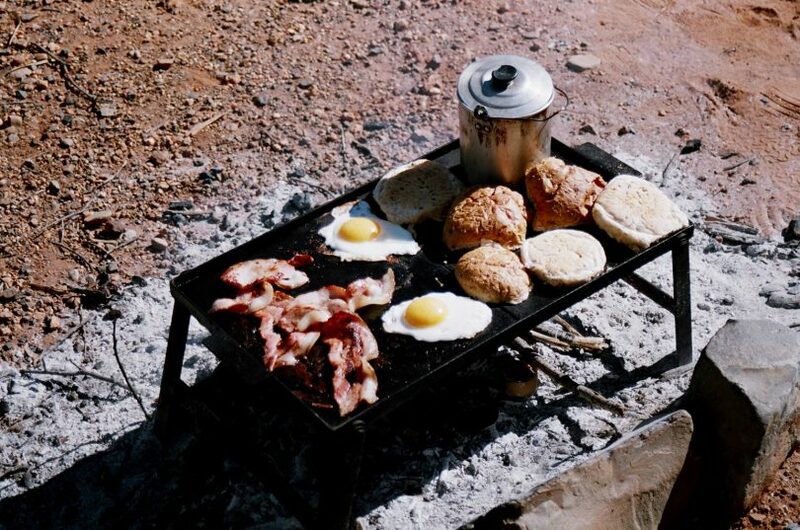 For the best backpacking coffee, see our earlier article. Hydration at dinner time will be important. This is when you can start with a pot of soup, something that warms you, hydrates and feeds all in one. As you sip your soup, add in ingredients to make more of a stick-to-your-ribs type casserole. Instant rice, potatoes, or pasta. Bring some spices you like to add to it chili powder, garlic, cumin, whatever tasty spice you like. Top your supper meal off with a cup of cocoa and a candy bar. It’s all about the calories. If you become dehydrated you are more likely to be cold and much more susceptible to hypothermia. Here’s a good tip to keep your water from freezing. Pack room temperature water and slide your water bottle into an old wool sock, this will keep it from freezing. Finally, before you hit the trail, count out your daily calories very carefully and have them proportioned for each day. You don’t want to eat too much on one day and then have to go light on another day. Also, eating this quantity of food is going to be difficult in just the sheer amount. So, bring foods you absolutely love. That way if you are short on calories one evening you won’t have trouble eating that favorite thing you brought. The important takeaway: stay dry, stay warm and get plenty to eat and drink. Winter hiking will call for some different gear than normal. It is imperative you invest in high-quality gear that you can depend on. As you know, some sports and hobbies are more expensive than others. Hiking can be one of those sports. Look for sales to get some top of the line equipment at rock bottom prices. Here is a list of some equipment that may be useful on your trip. 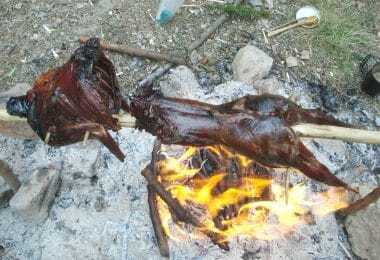 You know the type of country you will be going to and what items will serve you well. Pick and choose wisely. Snowshoes: Can help you navigate through deeper snow. 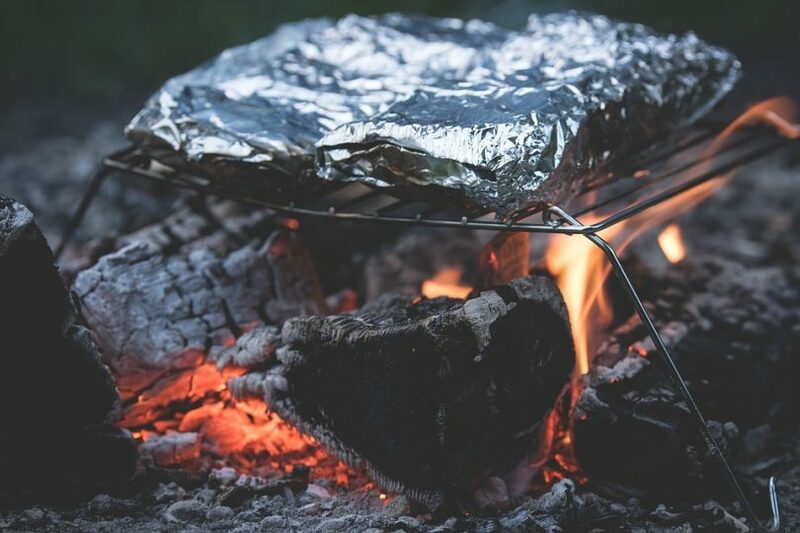 Camp stove: Can heat water and make your breakfast and dinner meals with this. The important takeaway: stay dry, stay warm and be prepared with the proper gear. One of the first things to think about is safety. If this is your first winter hiking experience, be smart and plan a doable route. Don’t go too far. Even it is a trail you know, winter conditions are different. You may end up breaking the trail in waist deep snow. 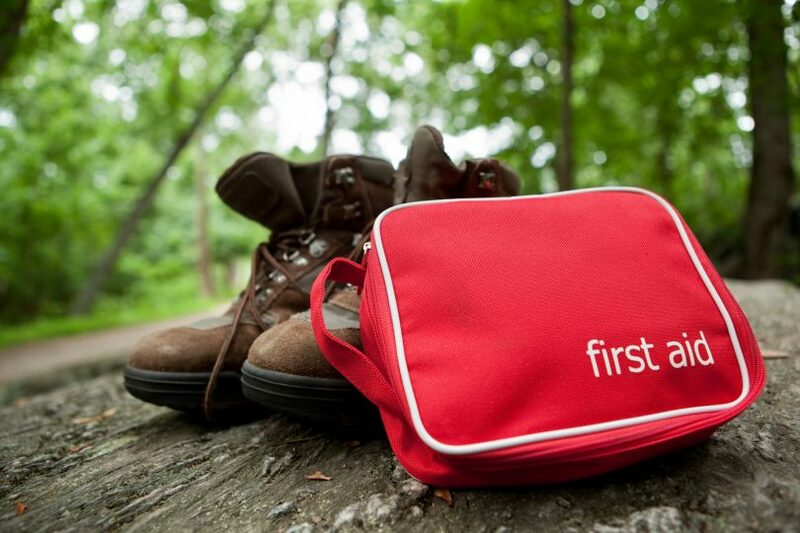 For review of the best first aid kit, check out this earlier article. You won’t get too far, too fast. Start with a day trip and then try one overnight and expand from there. Always be prepared to spend the night, even if you are on a day hike. Weather changes, injuries, and other unexpected delays could cause you to spend the night – be prepared. 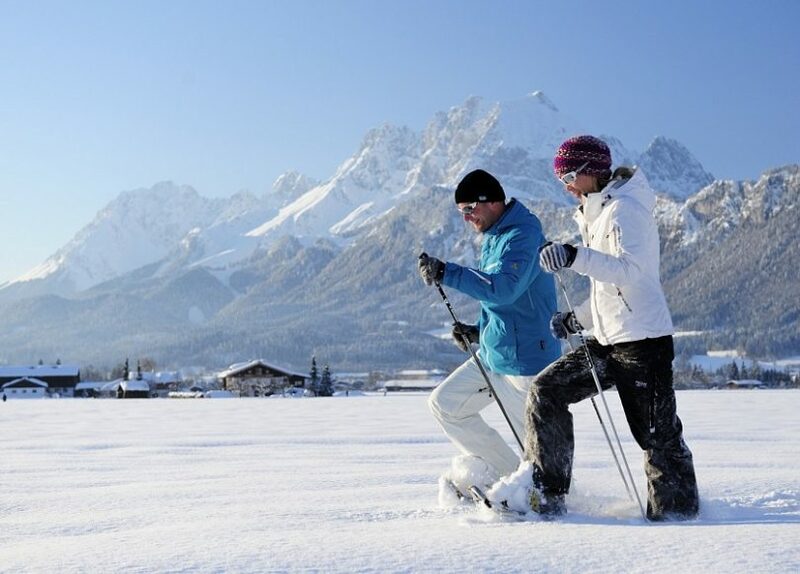 Bring an experienced friend: It is always best to have an experienced winter hiker with you. Their experience will be invaluable in the event of an injury or situation that needs some serious decision making. Tell someone exactly where you plan to go and how long you will be gone. There are too many stories of hikers that didn’t tell their family or friends exactly where they were going. A winter storm blew in, covered their tracks, stranded them and they were found too late and maybe not found at all. Be prepared to turn around: In other words, if the conditions change or something happens that will hinder your trek, turn around. Be safe. Don’t charge ahead for the peak of the mountain just because it’s there. Be wise and turn around so you can have a go at it another time when the conditions are better. Map: Don’t just bring a map, know how to read it and follow it. First Aid Kit: Can help you with small injuries such as cuts, burns, abrasions, lacerations, and possibly sprains. Carry some pain reliever for sore muscles or other pains that may develop. Compass: Can help you find your way when all other indicators are unavailable. Know how to use it. For tips on how to use a hiking compass, check out our earlier article on this. 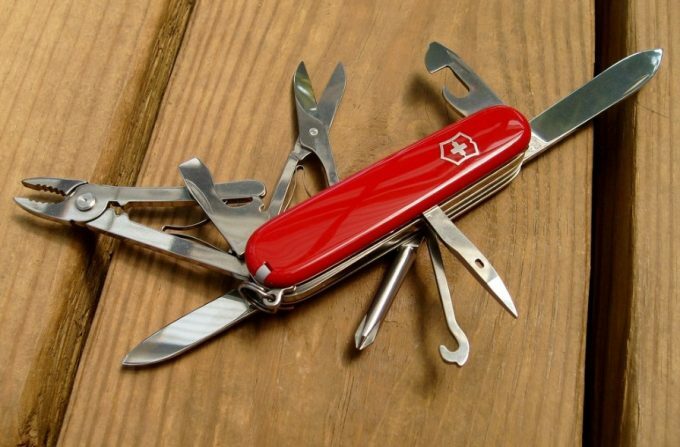 Pocket Knife: Can come in handy if you need to cut a bandage, get a switch to roast your marshmallows or numerous other tasks. Multi-tool: This could be needed to repair something like a tent pole, a snowshoe, or other things. Hand warming pockets: When it gets really cold you will be glad you had some of these along to stick in your mittens and keep your hands warm. The important takeaway: stay dry, stay warm and like a scout, be prepared. There is a lot of information in a short space. But each tip is helpful. You may be venturing out on your first winter hike or going for your 20th winter hike, either way, follow the rules. Here is a quick review. Make sure you have the right clothes to wear in layers. Have a hard shell to keep you protected from wind and snow. 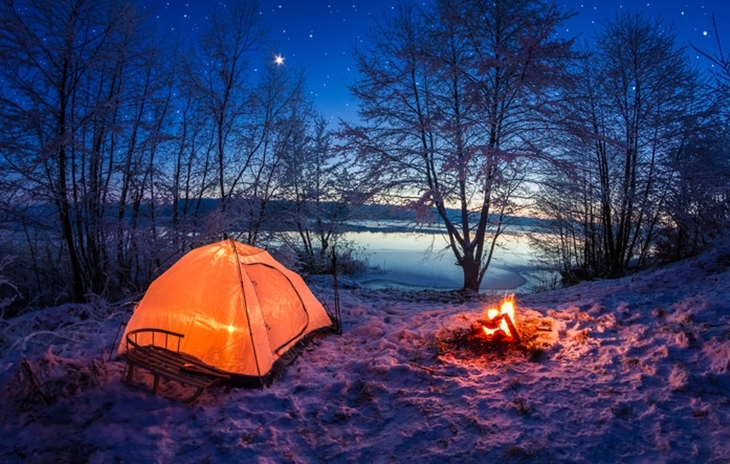 Get a good winter tent and know how and where to pitch it. Stay away from trees and slopes that could produce avalanches. Eat plenty of food to support the level of activity you are doing. Bring food you love so you will be able to eat even when you don’t feel like it. Stay hydrated. Know where you are going and what you’ll be doing so you can bring the appropriate gear. Always be prepared. Know how to read a map and use a compass. Above all, use common sense and practice safety habits. Don’t take unusual risks. Turn around if the situation calls for it. Don’t go alone unless you are an expert. Pack a little more than just enough. But make sure you can handle your pack alone. Don’t get it so heavy that you struggle more than is necessary. The important takeaway: stay dry, stay warm and have fun! For our comprehensive list of the best winter hiking gear, check out our earlier article to learn more.